Diabetes mellitus, commonly referred to as diabetes, is a chronic condition affecting the ability of the body to use energy obtained from food. It is an autoimmune disease. Each type of diabetes mellitus has something in common. Generally, the body breaks down sugars and carbohydrates consumed into glucose, a special sugar. Glucose fuels all the cells in the body. However, the cells require insulin, a hormone, in the bloodstream to take in glucose & use it for energy. When a person has diabetes mellitus, the body either does not make sufficient insulin or it cannot make use of insulin it produces; sometimes the combination of both occurs. As the cells cannot take in the glucose, it tends to build up in the blood. 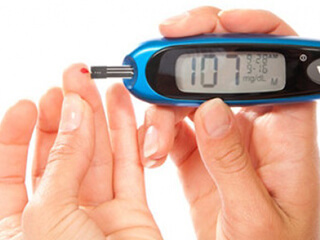 High blood glucose levels can damage the petite blood vessels in the heart, eyes, kidneys, or the nervous system. That is why diabetes, when left untreated, can lead to stroke, heart disease, kidney disease, nerve damage and blindness. Well, it is vital to note that just sugar doesn’t cause diabetes. Consuming a lot of sugar may lead to tooth decay, but may not cause diabetes. Diabetes is often detected by performing a urine test to find out whether or not excess glucose is present. And, this is usually backed up by a complete blood test that measures blood glucose levels & can possibly confirm whether the cause of the symptoms is diabetes. People suffering from diabetes should take responsibility for their daily care. This probably includes monitoring of blood glucose levels, maintaining physical activity, dietary management, keeping stress and weight under control, monitoring oral medications & if required use of insulin.